If your project has hit a roadblock our concepts can help you change those red lights to green. With an impeccably rounded design concept the ball can really start to roll. A strong D&P concept visual backed by our in-depth research and your solid business plan can get you the investment you need to start making things happen or it can help you gain the all-important seal of approval from your directors to move things forward. We have an excellent track record of generating powerful, targeted ideas and creating design solutions that meet the commercial needs of your business and will exceed the expectations of your end users. Keeping manufacture in mind, our concepts will help your product plans to take off but they remain grounded in manufacturing reality. Throughout the concept stage we reality-check and test our ideas with our team’s Design Engineers to ensure that our proposals will work just as elegantly in manufacture as they do on paper and on the computer screen. All our concepts have been developed to ensure there will be no nasty surprises further down the assembly line. We love designing concepts for clients and, for us, it all comes together when we present our ideas and solutions. What makes our work so rewarding is knowing we have met and exceeded our clients’ demands. That ‘look of approval’ when we present what we have achieved remains at the core of what we seek to accomplish. 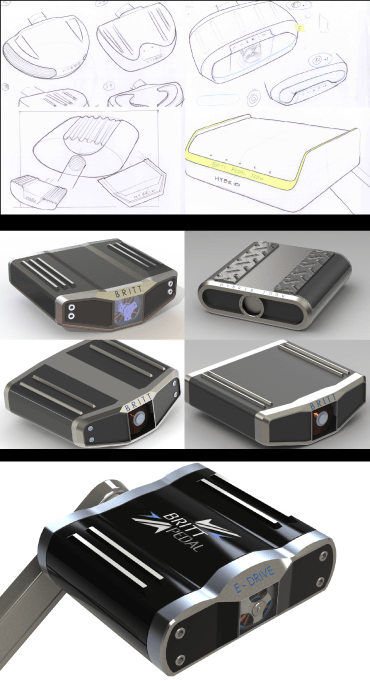 See how our concepts have helped make products a reality. Get in touch to find out how we can help green-light your product.